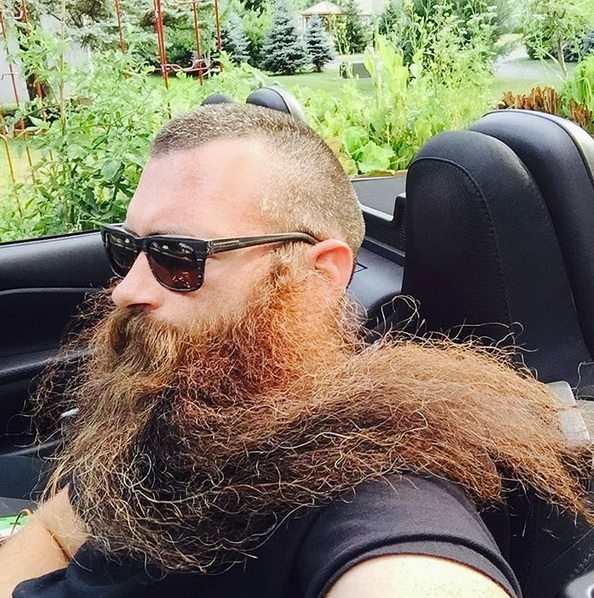 This driver takes down the top of his Miata to let his beard flow in the breeze. You don’t know what true freedom feels like until you’re cruising down a road with the top of your Miata down, beard flowing in the wind. Just ask Lewis Snyder, a mechanical engineer who lives in Rochester, New York. He bought his first Miata in 2012 and immediately fell in love. 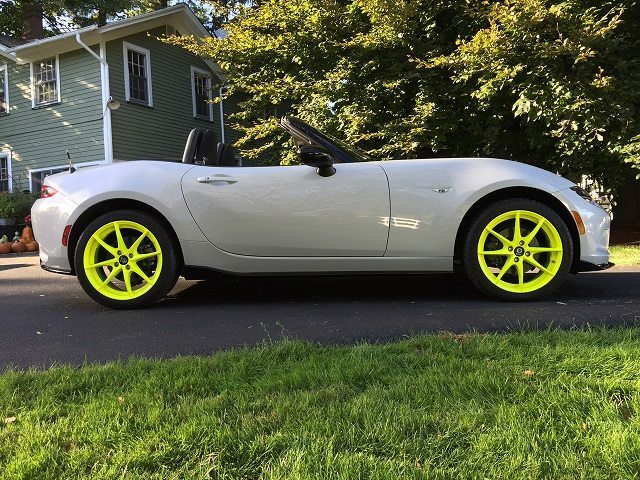 Snyder now drives a 2016 MX-5 Miata dressed in fluorescent-yellow wheels. As a child, Snyder and his family vacationed often in the Adirondack mountains. 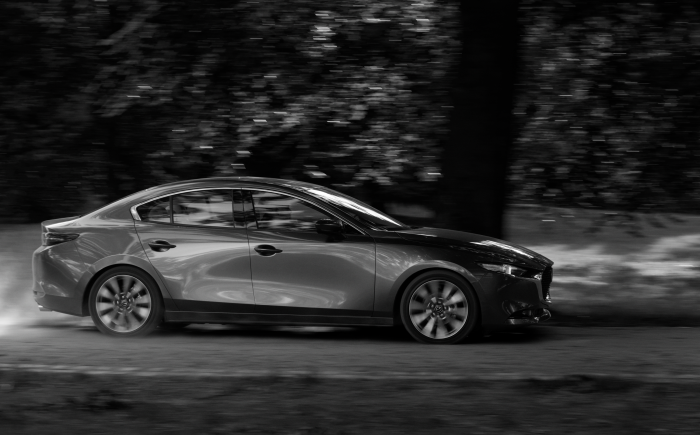 He dreamed about driving the twisting mountain roads in his own sports car. 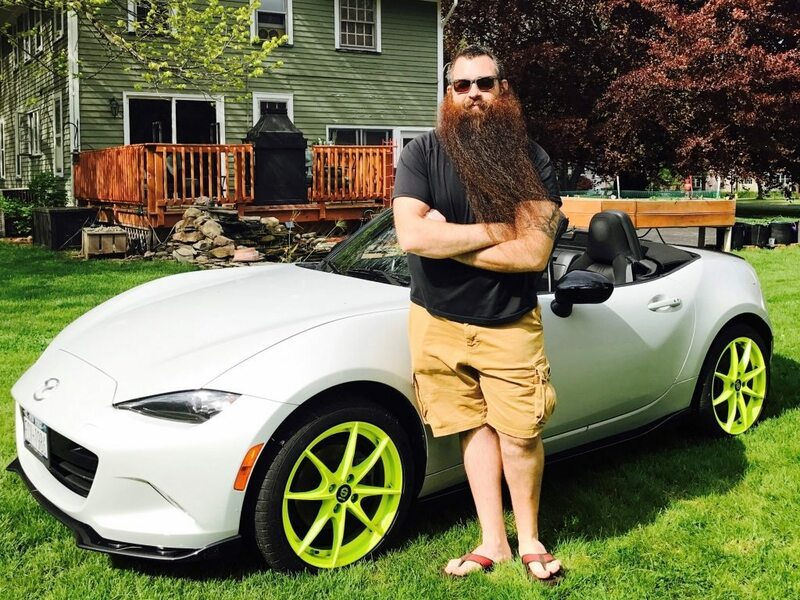 After buying his first Miata, he, and his husband Dave, grabbed the opportunity to take the car for a spin through the Adirondacks when they were on the hunt for a good vacation spot. 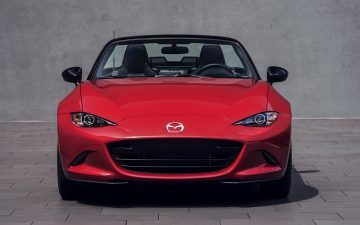 “As soon as we entered the mountain range for the first time and the roads got a little more exciting, I knew the MX-5 was in its element,” Snyder said. Driving his MX-5 Miata isn’t all about winding mountain roads, though. He once took his MX-5 for a spin at the Watkins Glen International track with the Midstate Miata Club of New York. The weekend the track opened, it held an event that brought thousands of people from all over the Rochester area—all automotive enthusiasts who came to share their love of their cars. 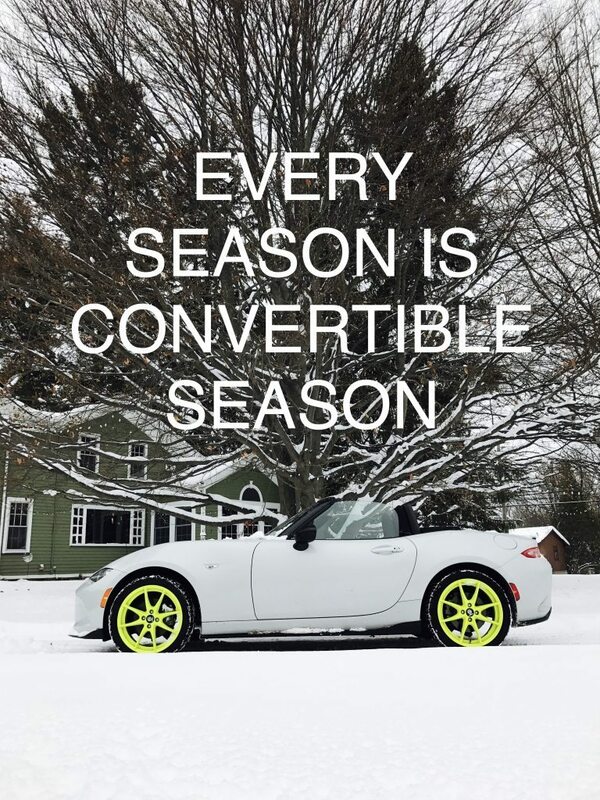 Lewis drives his MX-5 Miata nearly all year long, with the exception for the snow-heavy winter months in upstate New when the snow can get too deep on the roads. But as soon as the snow dissipates, the Miata is back on the road for the rest of the year.